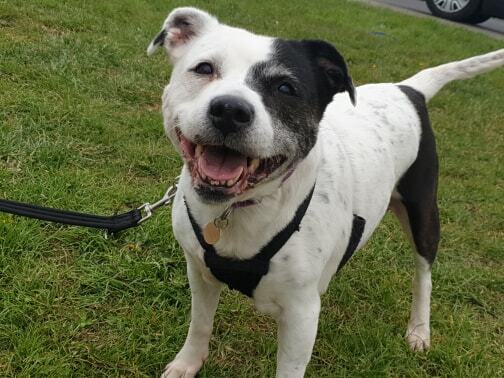 Cookie is the most gorgeous little Staffy girly who is 8 years young! 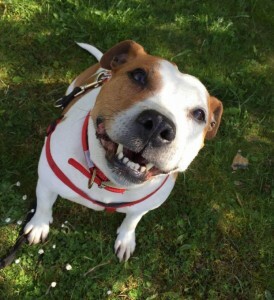 She is super friendly with everyone she meets, a typical Staffy who wants to shower everyone with kisses at all opportunities! Cookie is clearly missing her home comforts and isn’t happy at all in kennels, she craves to be with people. We know she has happily lived with children in the past, and could live with children over 8. She is still full of energy and loves her walks, she walks beautifully on the lead and is always looking up at you on her walks. She likes to carry a toy around with her, and wiggles around with her toys in her mouth! She is fully housetrained and travels well in the car. 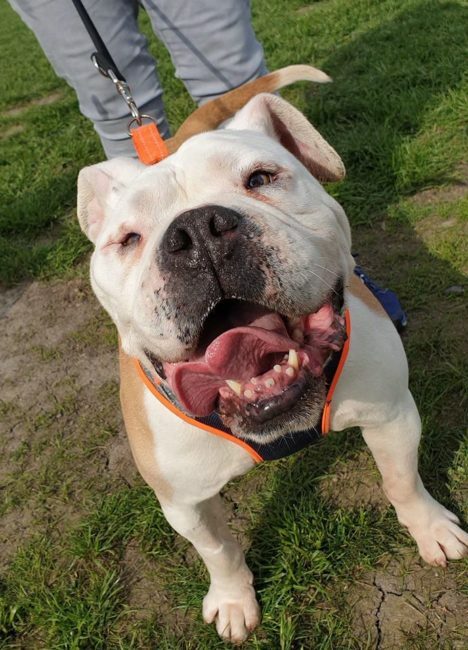 Cookie would probably suit a home where she will not be left for very long, and where she can be the centre of attention – she certainly deserves it! She has shown no issues around other dogs so far, but has not been tested around cats. Cookie really is a little diamond and will make a fantastic family dog, she desperately deserves a stable, loving family ASAP.